Something similar was said by Ibn Rajab in his essay Ikhtiyaar al-Oola (p. 12) and in Lataa’if al-Ma’aarif(p. 159). Hadith no. 1918 (below) is a repeat. Read it here. Hadith no. 1919 (below) is also a repeat. Read it here. Allah’s Apostle (sallallaahu `alayhi wasallam) said, “By Him in Whose Hands my soul is, son of Mary (Jesus) will shortly descend amongst you people (Muslims) as a just ruler and will break the Cross and kill the pig and abolish the Jizya (a tax taken from the non-Muslims, who are in the protection, of the Muslim government). Then there will be abundance of money and no-body will accept charitable gifts. What this means is that there will be no interest in wealth and there will be no desire to keep a lot of wealth; there will be few wishes and no want, and there will be the knowledge that the Resurrection is at hand..
“(Remember) when the angels said: ‘O Maryam (Mary)! Verily, Allaah gives you the glad tidings of a Word [“Be!” — and he was! i.e. ‘Eesa (Jesus) the son of Maryam (Mary)] from Him, his name will be the Messiah ‘Eesa (Jesus), the son of Maryam (Mary), held in honour in this world and in the Hereafter, and will be one of those who are near to Allaah. “And He (Allaah) will teach him [‘Eesa (Jesus)] the Book and Al-Hikmah (i.e. the Sunnah, the faultless speech of the Prophets, wisdom), (and) the Tawraat (Torah) and the Injeel (Gospel). And will make him [‘Eesa (Jesus)] a Messenger to the Children of Israel (saying): ‘I have come to you with a sign from your Lord, that I design for you out of clay, a figure like that of a bird, and breathe into it, and it becomes a bird by Allaah’s Leave; and I heal him who was born blind, and the leper, and I bring the dead to life by Allaah’s Leave. And I inform you of what you eat, and what you store in your houses. Surely, therein is a sign for you, if you believe. And I have come confirming that which was before me of the Tawraat (Torah), and to make lawful to you part of what was forbidden to you, and I have come to you with a proof from your Lord. So fear Allaah and obey me. · Allaah is absolutely perfect in His powers of Creation. He creates what He wills, how He wills… He created Adam from dust without a father or a mother, and He created Hawwa’ from the rib of Adam from a father but without a mother. He has caused the descendents of Adam to have both a father and a mother, and He created ‘Eesa from his mother without a father… Glory be to the All-Knowing Creator. “And mention in the Book (the Qur’aan, O Muhammad, the story of) Maryam (Mary), when she withdrew in seclusion from her family to a place facing east. She placed a screen (to screen herself) from them; then We sent to her Our Rooh [angel Jibreel (Gabriel)], and he appeared before her in the form of a man in all respects. “So she conceived him, and she withdrew with him to a far place (i.e. Bethlehem valley about 4-6 miles from Jerusalem). “Then [the babe ‘Eesa (Jesus) or Jibreel (Gabriel)] cried unto her from below her, saying: ‘Grieve not: your Lord has provided a water stream under you. And shake the trunk of the date palm towards you, it will let fall fresh ripe dates upon you. “Then she brought him (the baby) to her people, carrying him. They said: ‘O Mary! Indeed you have brought a thing Fariyy (a mighty thing). And He has made me blessed wheresoever I be, and has enjoined on me Salaah (prayer), and Zakaah, as long as I live. And dutiful to my mother, and made me not arrogant, unblest. “Such is ‘Eesa (Jesus), son of Maryam (Mary). (It is) a statement of truth, about which they doubt (or dispute). It befits not (the Majesty of) Allaah that He should beget a son [this refers to the slander of Christians against Allaah, by saying that ‘Eesa (Jesus) is the son of Allaah]. Glorified (and Exalted) be He (above all that they associate with Him). 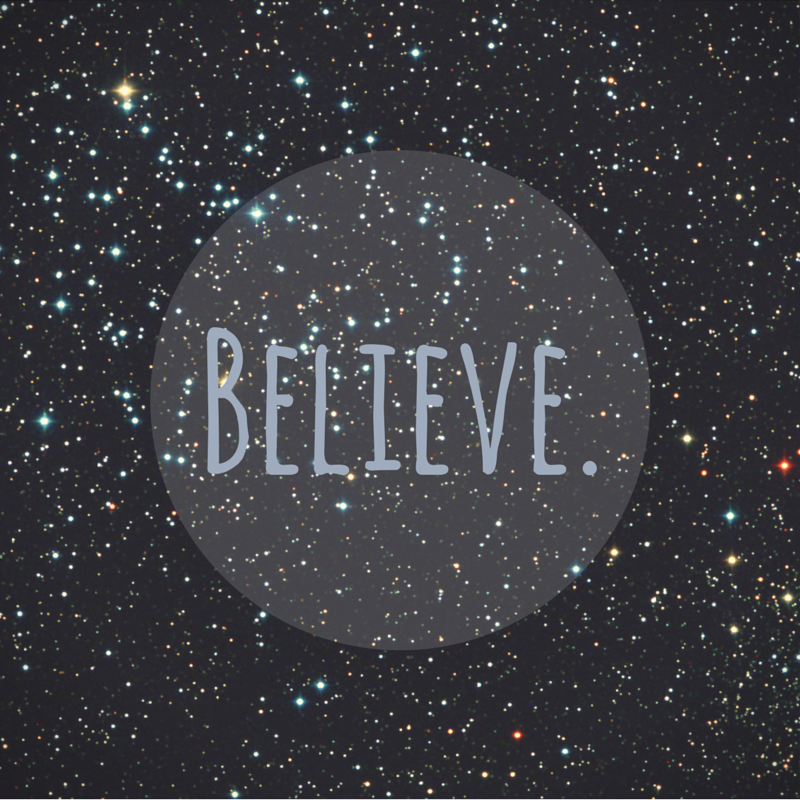 When He decrees a thing, He only says to it: “Be!”and it is. · Allaah supported ‘Eesa with great miracles which remind us of the power of Allaah, lift the spirit and promote faith in Allaah and in the Last Day. He made something like the shape of a bird from clay, and blew into it, and it became a bird, by Allaah’s leave. He healed the blind and the leper, and brought the death back to life by Allaah’s leave. He told the people what they were eating and what they were storing in their houses. So the Jews to whom Allaah had sent ‘Eesa became hostile towards him and tried to guide the people away from him, so they disbelieved in him and accused his mother of immorality. · So Eesa (peace be upon him) did not die, rather Allaah raised him up to Himself, and he will descend before the Day of Resurrection and will follow Muhammad (peace and blessings of Allaah be upon him). He will prove the Jews to be wrong in their claim to have killed ‘Eesa and crucified him. And he will prove the Christians to be wrong who exaggerated about him and said that he was God, or the son of God, or the third of three. The Prophet (peace and blessings of Allaah be upon him) said: “By the One in Whose hand is my soul, the son of Maryam will descend among you as a just judge. He will break the cross, kill the pigs and abolish the jizyah (tax paid my non-Muslims in an Islamic state), and money will become so widespread that there will be no one who will accept it.” (Agreed upon; narrated by Muslim, no. 155). Read the story written by Ibn Kathir in hs book “Stories of the Prophets” here. (See Hadith No. 85 Vol 1). Brothers and sisters, this is no funny business. 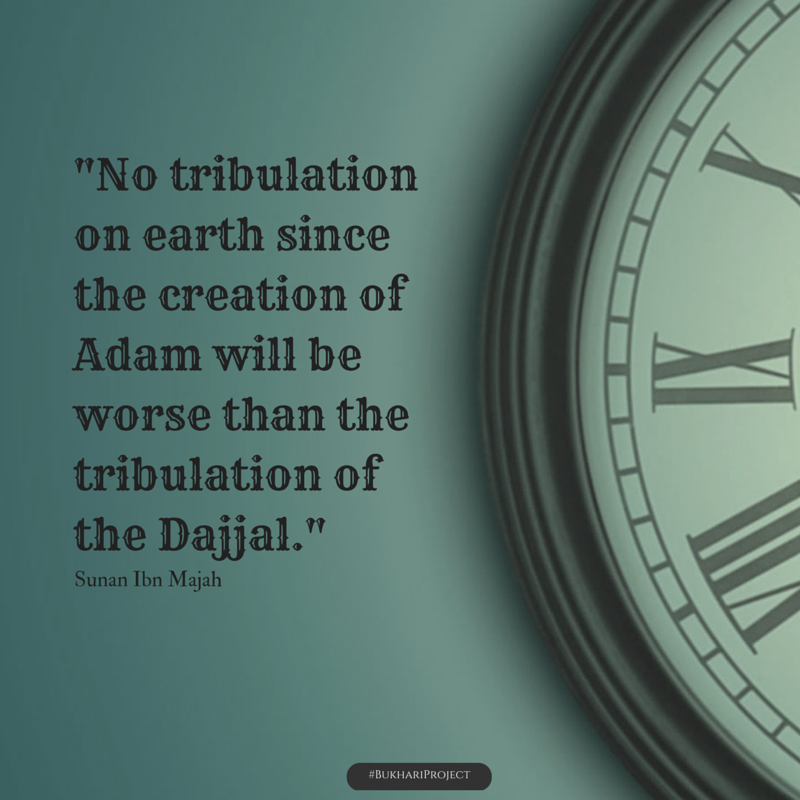 The Day of Judgement isn’t far away. We see the predictions coming true. Knowledge will be taken away (by the death of religious learned men) – check. Earthquakes will be frequent – check. Time will pass quickly – a big bold check. Afflictions will appear – check. Murders will increase – check. Money will overflow amongst you – check. You know what the problem is? It’s lack of ‘barakah‘ in our time. Barakah does not necessarily mean having plenty of something. It means that even less would suffice. That you’d be able to do more in less time. Now I know many will say there’s nothing wrong with that, and if one wakes up for tahajjud at night, or is up late studying, then they need to sleep at that time. Okay. Okay. Let’s see..
Prophet Muhammad (Peace be upon him) said: “Allah made the early hours blessed for my Ummah”. This hadeeth was the reason for me to start ProductiveMuslim.com! Such gems of productivity are actually sources of blessings that we should seek to make our life productive. Waking up early is such an important part of being blessed and feeling blessed throughout your day.Try to wake up for tahajjud, pray, and then work during the hours before fajr salaat and tahajjud. If you can’t, then at least wake up for fajr and stay up till sunrise before you go back to sleep. Those hours are so blessed. If you’re able to go to work in those hours, do so, you’ll get much more work done than the whole day put together! Tips for Barakah in Time: Pray Fajr in the Masjid then get down to work. Do not sleep after Fajr as that time has barakah in it. Make sure you wake up every morning before fajr, pray at least two rak’aat, make some du’a (supplication), read a bit of Qur’an, and have a bite to eat (even if it’s just a few dates). If you try this, I guarantee you, with Allah’s will, that one hour in which you deprive yourself of sleep for Allah’s sake will grant you so much barakah that day. You’ll find that you will finish your work early and still have plenty of time on your hands for your ibaadat.